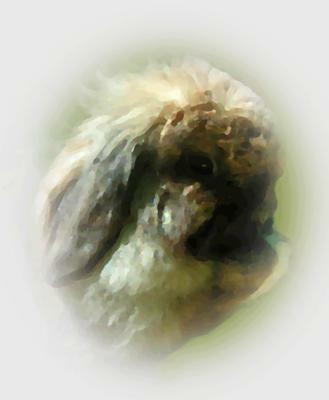 I had suddenly lost my beautiful champion fluffy mini lop rabbit. It was unexpected... I just went to get a cup of tea and came back to find her dead in her cage. I tried to revive her, but it was not to be. For some reason my wee angel was wanted back. I cried and cried wondering whether God spends most of his time napping, or just doesn't care. I know she hadn't suffered, but she hadn't enjoyed as full a life as I'd have preferred. Anyway, she hadn't suffered and that brought some peace. One night I'd had a dream... it seemed so real and very different from normal gobbled dreams. There she was in all her glory with her long fur shining and flowing in the sun. I then woke up with a heavy heart and glanced towards my husband. Above him, near to the ceiling was a golden orb shining so brightly and giving off so much love. It was dense... I couldn't see throught it, but was the most beautiful thing I have ever seen. 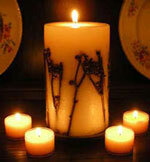 I shook my husband, who awoke with a start and we both watched as it gently glittered and faded. A golden moment for a champion to let us know she was still around.